“Injects” refers to using a queen’s Spawn Larva spells on hatcheries to increase larva production. This is a fundamental Zerg mechanic and it forms the foundation of the macro cycle for a Zerg player. It is normal to be injecting 3-5 hatcheries and during the early and mid-game it is important to perform this task every 30 seconds without much delay. A number of different methods have been developed by players to streamline this task and those methods will be the main focus of this post. How do I select my queens to inject? How do I issue the Spawn Larva command? How do I manage my camera location during this process to facilitate selecting the hatcheries? The three questions and their possible answers. Five examples of common inject methods. An in-depth discussion of wandering queens. Manual – the queen(s) that are going to inject at a location are manually selected by clicking on them or boxing around them. Individual Control Groups – each queen or each group of queens at a particular hatchery location has its own hotkey. This is normally paired with the Double Tap camera control method. Manual – just press the command key for Spawn Larva and click the hatchery. Shift-Queue – press the command key for Spawn Larva and then hold shift throughout the rest of the process. Click on each hatchery that needs to be injected. This is generally paired with a One Control Group selection method. Rapid-Fire – The command key for Spawn Larva has been set up as a Rapid Fire key that also functions as a left click. Holding down this key while mousing over a hatchery will rapidly issue Spawn Larva commands on that hatchery. Sometimes set up on the mouse wheel. Because Spawn Larva can be stacked on a hatchery, Rapid Fire is no longer viable with Single Control Group methods (it will produce Wandering Queens) and is only used with shift for dumping excess energy from local queens onto a local hatchery. Base Cams – The user presses a base cam key to change the view to the desired base and then performs the rest of the inject mechanic. Backspace – The user presses backspace (or sometimes rebound to spacebar) to rapidly cycle the camera through base locations and performs the inject mechanic at each. Double Tap – Either an individual hatchery or a local queen or group of queens is on a hotkey per base, and this hotkey is double tapped to set the camera location. This is most commonly used with the Individual Control Groups queen selection method. Mini-Map – The camera is not moved at all and the inject commands are issued to hatcheries by clicking on their locations on the mini-map. Description: The user taps a base cam, select the queen, presses the inject hotkey and selects the hatchery. Repeat for other bases. Trains use of base cameras. Does not use up any hotkeys for inject queens. Provides a natural checkup on each base. Easy and intuitive to compensate for dead queens. Slightly slower than some other methods. Returning queens to station after pulling them for defense is a manual process. Description: The user selects the inject queens control group, presses the command for inject, holds down shift, and then for each base to be injected taps the base cam and click the hatchery one time. Base cameras are centered on the hatchery so the mouse does not generally need to be moved between clicks once it is in position. Returning queens to station after pulling them for defense can be accomplished by performing a normal inject cycle. One of the faster methods. Allows easily compensating for known dead queens. The tendency to cycle rapidly through the base cams can produce errors when compensating for dead queens and can limit the value of the natural checkup since the base is only in view very briefly. Requires some practice to get used to. Description: User double taps the control group for a queen at a base location. This selects her and changes the camera to her location. The user then presses the Spawn Larva command and clicks the hatchery. This process is repeated for each queen at each base, although 2 queens injecting a main and macro hatchery at a base might share a control group. Does not produce wandering queens. Inject queens are already on individual control groups for defense and returning them to their previous locations is fairly straightforward. Slower than some other methods. Uses up one control group per location being injected. Does not train camera hotkeys. Can fail to center camera on the base that needs to be injected if the queen has been moved for defense or killed. Description: This is pretty similar to the Core Inject. The user selects the queen group, presses the Spawn Larva command, holds shift, and then for each base taps Backspace and then click the hatchery. It is common to re-bind backspace to spacebar for convenience. This method used to be paired with Rapid Fire but that is no longer viable in LotV. Extremely fast in simple scenarios where every base needs to be injected. Inject queens are already on a control group for defense. A normal inject cycle can be used to return queens to their station after pulling them for defense. Provides a brief checkup on each base. Backspace naturally centers the camera on the hatchery. More prone to wandering queens than most methods. Takes camera to all bases, not just the ones that need to be injected. Camera Management: Click hatchery on mini-map. Description: User select the queen group, presses Spawn Larva command, holds shift, and then clicks on each hatchery to be injected on the mini-map. Hatcheries will be the largest squares and the target reticle will indicate when a valid target is being hovered. The camera is not moved. Pretty fast, depending on speed and accuracy of the mouse-hand to select hatcheries on the mini-map. Can be done without taking eyes off of a battle or scout. Does not train camera location hotkey usage. Does not provide a base checkup. Does not provide visual indication of wandering queens when that happens. Can be slow if the user is not good at clicking hatcheries on the mini-map. Requires more mouse movement instead of having your mouse near the middle of the screen, it must move from where it was to the bottom corner and back. These are just some common examples. Other combinations are possible. One could use the Backspace camera with manual selection and command, or One could Double Tap and then use Rapid Fire to perform the actual inject. One could use Individual Hotkey selection and Manual injection via the Mini-map. These are all valid methods, but they may lack defining strengths to promote their use. If the local queen has less than 25 energy the command will go to a more distant queen with enough energy if one exists. That queen will then wander to this hatchery. If the local queen no longer exists because she has been killed then the command will go to another queen, if possible. Not being in the inject control group will create the same impact. Smart casting prefers to issue a shift-queued command to a caster that is not already trying to execute another command, and the command is not considered completed and the queen “available” again until the entire Spawn Larva animation is completed. So if there is one queen near a hatchery and you quickly shift-queue two injects on it, the local queen will receive the first one and a remote queen, if available, will receive the second command and wander. If every queen is busy then the second command will go to the closest queen again. Because of this if all queens have 50 energy and the user performs a complete inject cycle twice the queens will not wander, but if the user performs a single inject cycle and clicks each hatchery twice they will. Wandering queens can be 100% avoided by not injecting when there is not enough energy, not injecting hatcheries where a queen is missing (e.g. dead), and not injecting more than once per cycle. Once a queen wanders, all subsequent queens in the sequence will also wander because now her hatchery is vacant. User has four bases and four inject queens. The queen at the natural is killed by harass and the user performs a normal inject cycle that does not account for this. The main will be injected normally. There is no queen at the natural so the queen at the 3rd will wander to the natural and inject there. Now the 3rd queen is busy so the inject on the 3rd gets assigned to the queen for the 4th and it also wanders. The inject for the 4th fails if none of the queens have enough energy for a 2nd inject, otherwise the queen Smart casting chooses will wander to the 4th and inject there. Because of the way wandering cascades, if there is a wandering queen problem then when the last hatch inject command is given that queen will be observed to either be walking away or already misssing. If this is not the case, if she just injects her hatch normally then the user can be sure that no queens are wandering off-station anywhere. If the cause is insufficient queen energy then the user just needs to be more careful with inject timing. One possible solution is to put the inject queen with the lowest energy on a separate control group and check it periodically. When she has >=25 energy then all inject queens do and the inject can be performed. If the cause is missing or dead queens, which is to say that there are fewer queens in the inject control group than there are hatcheries to be injected, then the solution is to either get more queens or inject fewer hatcheries. More queens can be built, or creep queens can be put into to the inject group, or both. The most efficient solutions will involve identifying which hatcheries are missing queens and getting a queen on station at that location manually. But if the user is overwhelmed or otherwise does not want to deal with this it is sufficient to get the correct number of queens in the inject control group and then perform an inject cycle normally when they have enough energy. This is described below in Return to Station. “Wandering” can also be used as an advantage. 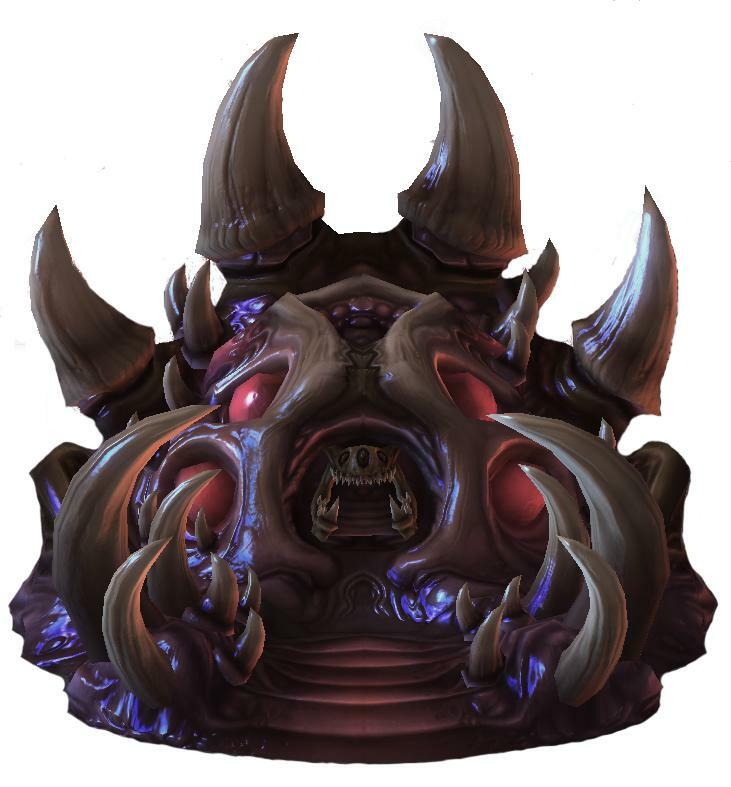 If queens have been pulled for defense, or new or creep queens have been added to the inject control group, it is not necessary to manually put them back on station for injects. The user can just perform a normal inject cycle. One queen will receive the command for each hatchery and walk to that location. This will put one queen on station at each hatch as long as the number of queens in the inject group is the same as the number of hatcheries to be injected. Some inject time will be lost while the queens travel as compared to putting them on station manually and ahead of time to inject, but if the user is strained for APM this may be a worthwhile trade off. There are many different ways that you can inject hatcheries and I would recommend the method that you enjoy the most/are most comfortable with. With that being said I personally believe that manual injects using camera location hotkeys have the most positives and can be learned to be done nearly as fast as the fastest methods. Using camera location hotkeys to defend against things like drops are incredibly useful and you can still put all of your injecting queens on a hotkey to use for defense, just manually box when you want to inject. With this manual method, you can shift queue multiple injects onto one hatch easily with the selected queen and when you have a macro hatchery you can box both queens and then manual inject each hatchery once. Also never having to worry about wandering queens is a very good thing. Once your queens start wandering, having to put them all back in place can really disrupt your macro cycle. Thanks to /u/Astazha on reddit for writing the majority of this post and allowing me to use format it and edit it for this site. Yes, essentially because injects can be queued now, using rapid fire on a hatchery from a control group with all of your queens will have all of the queens travel and inject that hatchery. He’re one tip that’s helped me a lot: once you have a few creep queens out with some extra energy, queue them up to do a couple injects into each hatchery. If you use camera hotkeys with rapid-fire injection then you can inject with your main injecting queens every minute thirty instead of every 30 seconds, and you’ll still be 100% injected all the time. It makes the injection cycle much more forgiving. While this may work at lower levels, at higher levels there are a few problems. Most of the time you are going to need your creep queens in position for defense, and sending them to inject takes a lot of time before they can be back to defend. Second if you are playing against strong players, they will be constantly clearly creep spread and you will have to repeatedly respread the creep. The queens are also useful to spread creep up ramps or other areas where your tumor doesn’t have vision (like through bushes). My last point is that having queens with lots of transfuse energy in the late-game can be very important to keep Ultras/broodlords/vipers alive. Eh, I mean I agree that creep tumors, defensive positioning, and banking up some transfuse energy is important, but even just stacking a single inject into your three main hatcheries gives you a very nice 29 second buffer. That’s only 75 energy, and just one extra queen will have that in a minute since it starts with 25. Plus injects pop 1.7 seconds before the queen has 25 energy, so even if your inject timing is absolutely perfect, which it can’t be, you’re gaining a full extra set of larvae after 8 minutes. That, plus the huge amount of leeway you get with your injects is, I think, worth the 75 energy. I’ve seen quite a few pro players do a similar thing where when a creep queen spawns they’ll put the first 25 energy into the hatchery before grouping it up with the rest. That gets around the downside of having the queen move around, so maybe that’s a better option. My mmr is about 4500, so certainly nothing too exciting, but it’s not “low league” either. Take the idea for what it’s worth; personally I find the benefits outweigh the downsides. yeah it is definitely usable, and has benefits. As long as players understand the downsides to using this there will be situations where it is a good idea to implement this strategy.